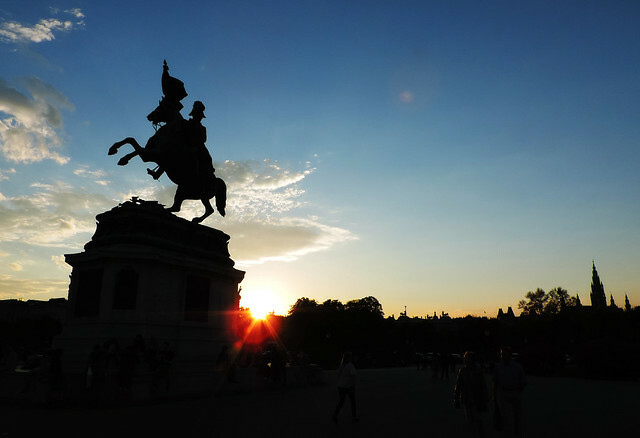 Paris is often called the City Of Love. They say it’s the most popular romantic travel destination and of course, there’s those beautiful romantic scenes which were probably planned for romantic movie shooting romantic walks. Well, our City Of Love is a different one. It’s not so very famous as Paris and it’s not even located in Italy which is also home to several cities known to be romantic. But it’s a unique and vibrant beautiful capital. It has several impressive castles in its very heart. 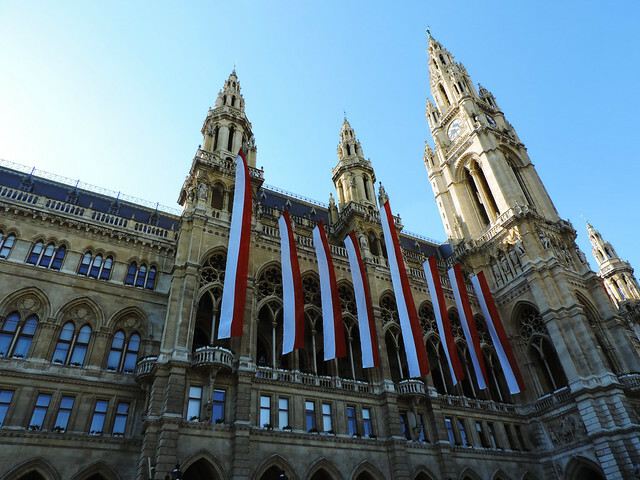 It has the most amazing giant Gothic City Hall. Countless wonderful cathedrals. City center rich in architecture masterpieces. Gardens full of colorful flowers, elegant fountains and old statues. Streets decorated and lit up magically during Christmas time. 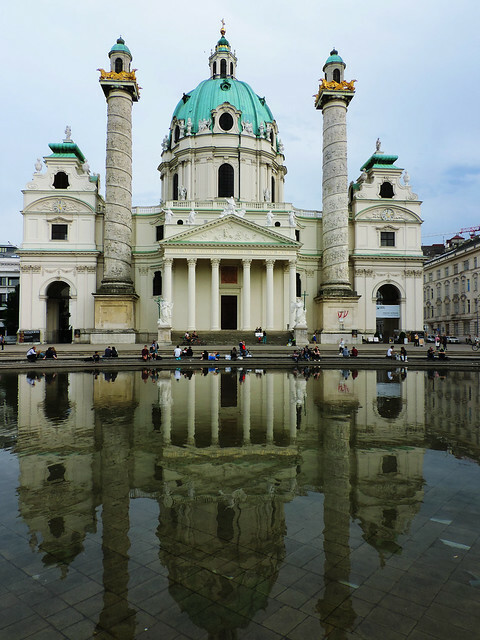 That majestic palace with its 1000+ rooms was once home of the most beautiful, but a very unhappy women of her time: Sissy, the Bavarian princess who became the Empress of Austria and the Queen of Hungary as the wife of Franz Josep I. This palace has a huge garden full of fountains which are masterpieces of their kind, full of flowers and tree tunnels and playful squirrels. Moreover, this garden is home to more than 500 animal species including a giant panda (yepp, as you might have guessed, there’s a zoo located inside). 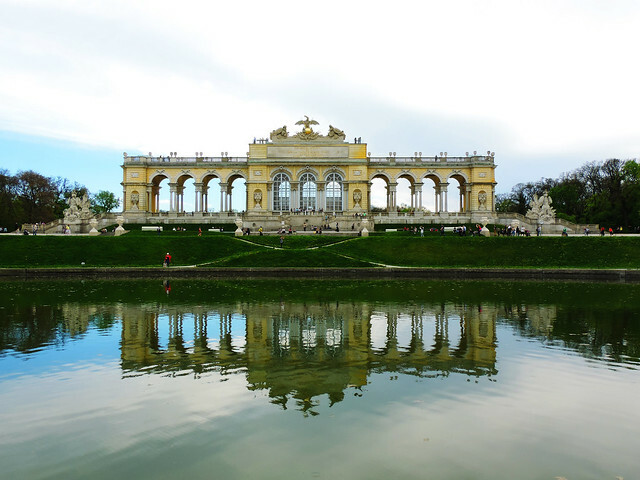 And this is the place where we got engaged almost 5 years ago… at the top of Gloriette, a charming pavilion-like building in the garden of the Schönbrunn Palace in Vienna. So Vienna. 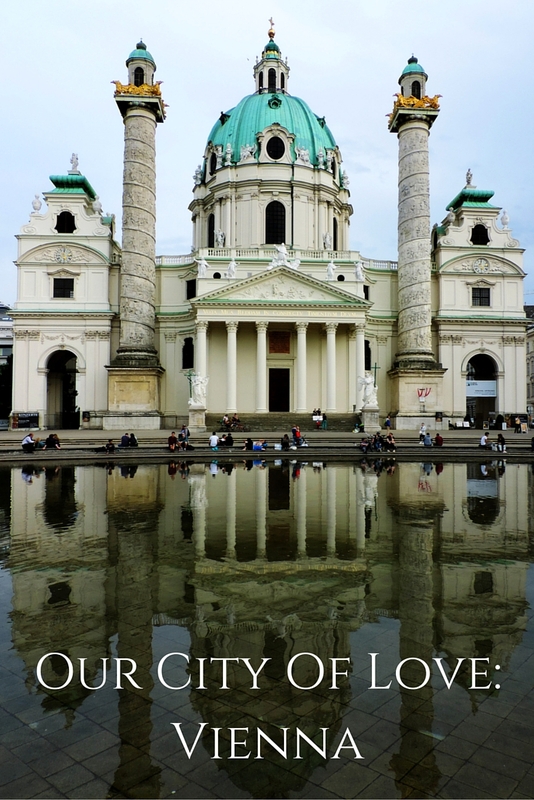 Our City Of Love. Partly because of our sweet engagement memories and the endless romantic walks. But on the other hand, we would probably love it just as much as we do now if our engagement would have taken place somewhere else. There’s such a lot to see and do there that our 4 visits so far has still not been enough. We’ve tasted the delicious Christmas punch. 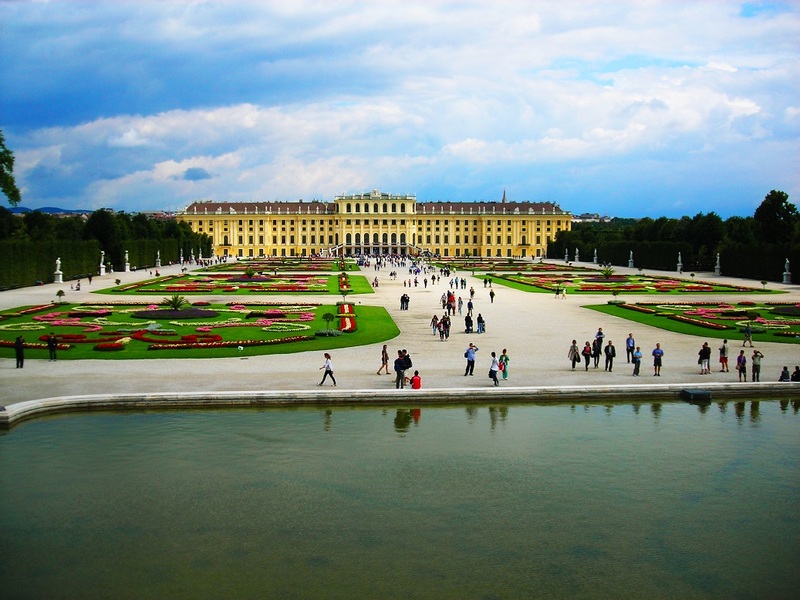 But we haven’t seen the gardens of Schönbrunn Palace dressed in fall colors yet. We’ve met a giant panda in the Schönbrunn Zoo. But we haven’t had enough of the romantic walks in that beautiful, vibrant city center. 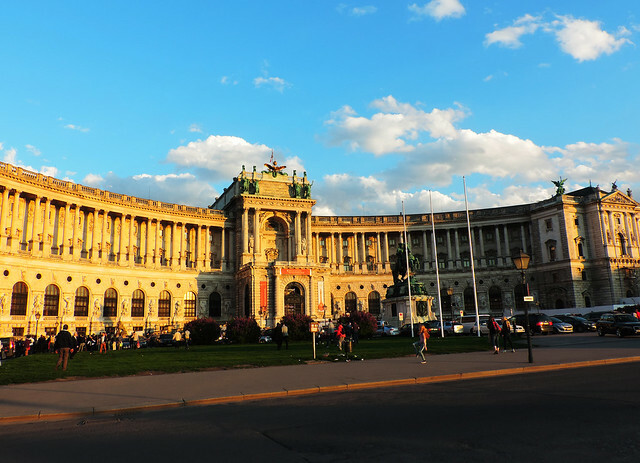 We’ve walked through all the hundreds of rooms of Schönbrunn and Hofburg Palaces. But we haven’t found our favorite of the charming cafes yet. 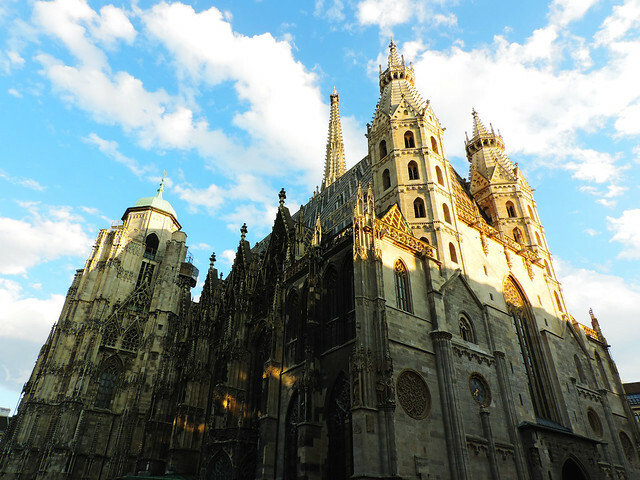 We have countless reasons to love Vienna, but we don’t need any of them. It’s not about reasons anyway. It’s just love. For all the wonderful places in this city and for the city as a whole. Rare, true love. Is there a city you are passionately attached to?